OK, they are authentic, but not exactly original. 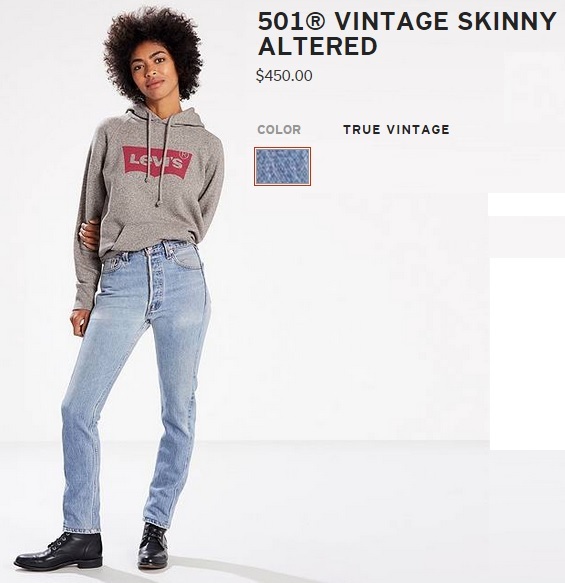 It appears that the Levi's designers sourced vintage men’s 501® Jeans and sized them down to a skinny fit. Each piece bears the unique markings from its original wearer—complete with natural rips and twisted seams. Levi's® Altered epitomizes their approach to remastering classic designs in a range of essential, authentic finishes. This season, they have deconstructed and altered their most coveted styles to create one-of-a-kind pieces. They began with the 501® Skinny — a timeless Levi's® style, redesigned and remastered. This is the world's most coveted jean, customized with a slimmer leg that's cropped to a perfect, versatile length. Building upon their iconic 501®, it's a re-interpretation for today. They took this to the next level and altered it to perfection, just for you. 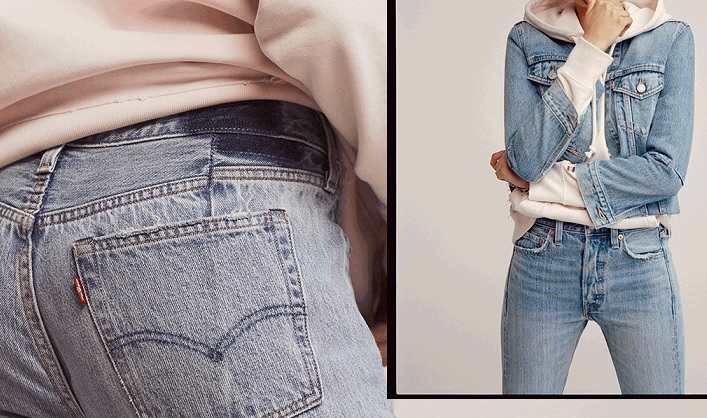 Again, it is our understanding that these vintage 501 jeans started as "men's jeans" and appear to have been sized down to become women's jeans). These are authentic modified Levi's 501 Jeans. Learn more about Vintage Jeans in our fashion influence section. You may also enjoy reading our Summer of Love Vintage Jeans blog post.